Do toi think you've learned anything from the show? Was a bit bored and didn't see a question like this yet, so I created this. I wanted to ask to see if anyone felt they've learned something from The Last Airbender. I think I've learned from the Guru towards the last episode of Book two about how people have created the illusion of separation amongst each other. OMG yeah! I have learned a lot of morals. From Aang I learned that sometimes toi have to face your destiny, even if it's hard. From Katara we can learn the importance of having hope, and from the montrer in general I have learned the importance of standing up for what toi believe in. 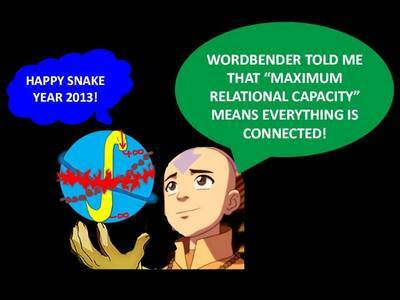 What Iroh gave Zuko conseil are always right. And when Zuko impersonate Iroh. "You must look deep inside yourself, to save yourself from your other self, only then will your true self, reveal itself"
I've learnt at least 2 things: (1) total acceptance is not just a figment of my imagination - it is a longing expressed par the creators of the saga as well (Katara embracing Aang even at his scariest); (2) I'm not the only one who believes "everything is connected" (I call it "Maximum Relational Capacity - check out the forum). I guess we always see in the montrer how much aang's Friends support him and support each other, like if they were not only Friends but also a family. yes, Uncle Iroh has wise words. I think I have learned a lot from the montrer ranging from different things like the choices we make , following your destiny and also one of the most important themes l’amour that true l’amour will always find its way! 1: I learned that u should always (no matter the odds) stand up for what toi know is right, even if people are against u. 2: War ou no war, violence is not the answer for everything. It doesn't matter if people think it's silly to "wimp out" when ur having to take a life. Revenge is NEVER right,and should never be done. 3: It's very easy to be corrupted in this life. And just beause someone is evil, it doesn't make them any less of a human than u. They are just people who have made terrible mistakes as we all have. 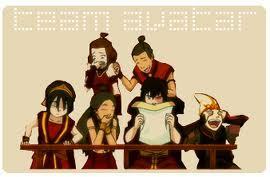 Um yeah, no one likes Kataang and Zutara will reign forever!